All parents want the best for their children and the very first steps in your child’s life are the most important ones. Choosing the perfect school for your child can be difficult. To help you, there are some aspects you might want to take into consideration. Firstly, what ages does the school cover? Would you like your child to be in a school dedicated to early years only or part of a larger community that they could grow up in? Secondly, let’s think about the learning facilities in the early years and the possibility of having extra-curricular activities. What are the indoor and outdoor facilities like? Are children able to play indoors and outdoors and what toys or provisions are there for them? Are there options for choosing some fun extra-curricular activities? Moreover, for some parents, the languages spoken in the classroom are important. Do you want your child to be in a single language environment, or offered a dual language learning environment? What support is there for children who are learning a new language? We all know how important it is for children to play. Through playing, a child can learn to develop all their skills, they can feel and act independently, make friends, socialize, be part of a group and learn to express their emotions, thoughts and feelings. How does the school regard the importance of learning social skills or learning through play? Is there an emphasis on teaching and learning certain skills and knowledge? Excellence in education is another important aspect you might take into consideration. What about great teachers, who can take care of each child independently, in a secure, safe and happy environment? To find out more information about these you can ask what an inspection report says about the school, look at the teacher qualifications or you could ask to meet the teachers. In the early years, it is not easy for a child to get used to a new environment and new people, that’s why children need to be understood and to feel comfortable and secure. Is there any chance to ease this transition in some ways? For example, can teachers make a home visit before term starts? Or is there any possibility for parents to collect their child earlier, in the first week of school? The relationship between teachers and children is important. What does the school do to develop and support this relationship and create a positive learning experience for children? To try to find all the answers you need you will probably start by reading a school’s website and looking for recommendations from other parents. The opportunity to visit a school and see for yourself how they care for early years children though is often the best way of making decisions about which school is best for you. Open mornings, or arranging a visit directly with the school will allow you to see all of these things and ask your own questions. We hope the ideas in this article help you to choose the best start in life for your child. Take it step by step, think about your child’s needs, about what’s best for him to grow and develop completely, and for sure you’ll take the right decision! This article was written by British School of Bucharest. We also welcome visitors any time. Please request a visit on our website: https://www.britishschool.ro/admissions/book-a-visit.html. An Admissions Representative will contact you to establish a day to visit our school. 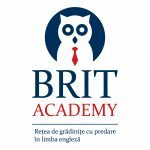 British School of Bucharest is an established, well-resourced top private school, located in Bucharest, providing a comprehensive international education, based on the National Curriculum for England. The British School of Bucharest serves more than 500 students aged between 2-18. It is a richly diverse learning community, with students representing approximately 50 nationalities. Is the early years open day at BSB is just for kids that are already registered in the school? If not, when is the next event will take place? This even is for any prospective family, and those with and without children already at the school are all encouraged to attend. Please contact [email protected] for more information to arrange a visit or attend another Open Day.